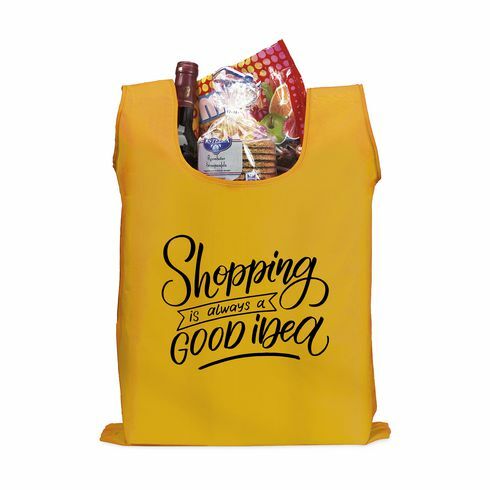 Foldable shopping bag made of strong polyester. With large capacity. In a pouch with popper and carabiner hook. Meas. unfolded 53 x 38 cm.